A couple weeks ago, the Yahel group, including a few Ethiopian young adults from Gedera, spent three packed and wonderful days up North. The weekend started on Friday morning when the group headed to Afula to meet with the local “Tarbut” community. 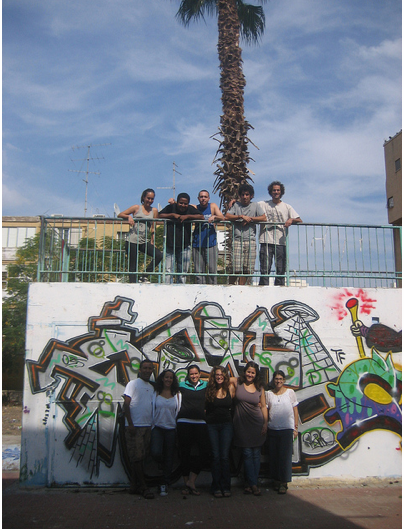 “Tarbut” is a network of young communities comprised of artists who have chosen to live in marginalized areas in Israel and contribute using art and education. 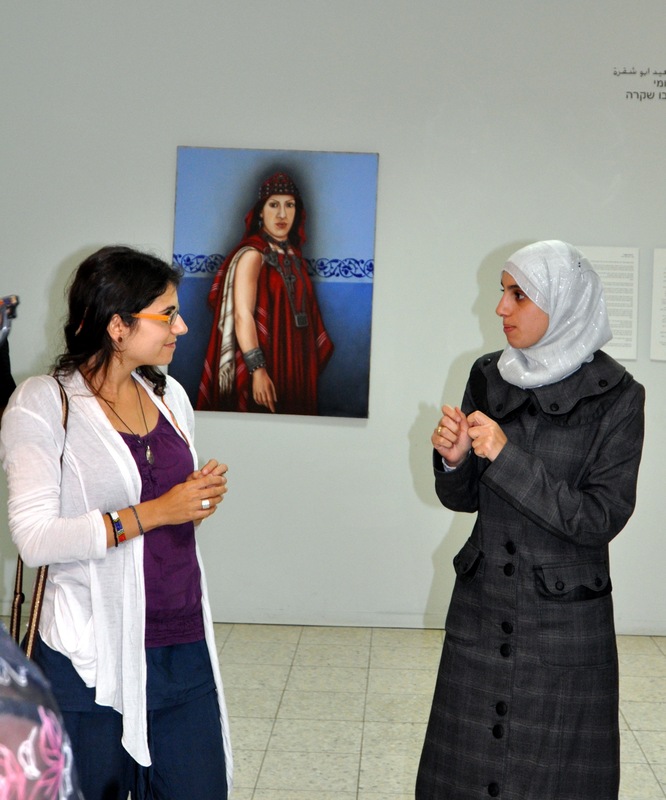 The group met with Hadas Goldman, one of the founding members who started the group about six years ago. Today there are many Tarbut communities in Israel that function as communes and include several hundred members. After the visit in Afula, the group enjoyed a great Falafel lunch and then headed off to descend the Arbel Mountain overlooking the Kinneret. The group soaked in breathtaking views and historical facts during the beautiful hike, which was led by Tsachi, an Ethiopian young adult from the Shapira neighborhood in Gedera. 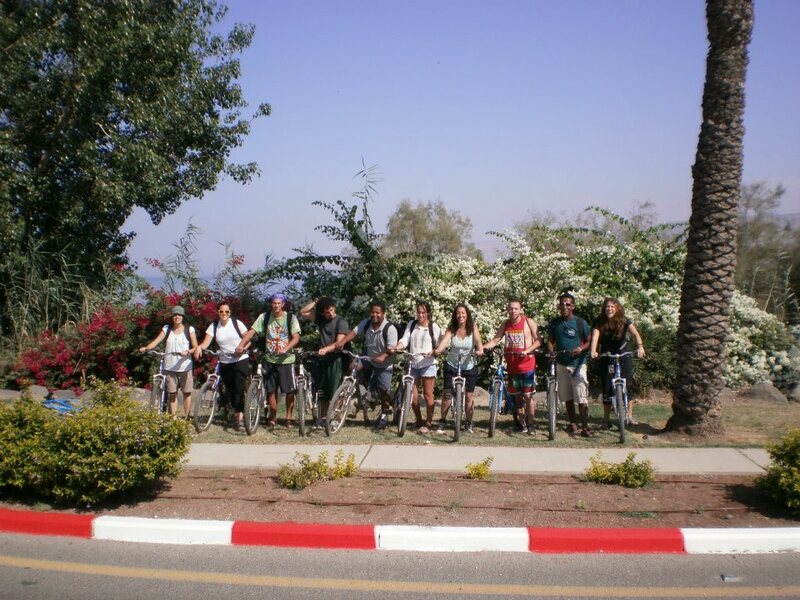 The next morning the group hopped on bikes and biked half way around the Kinneret and spent the morning swimming and enjoying one another’s company. The afternoon included a participant-led session focusing on the return of Gilad Shalit and sparked conversation around many interesting and thought-provoking moral dilemmas. 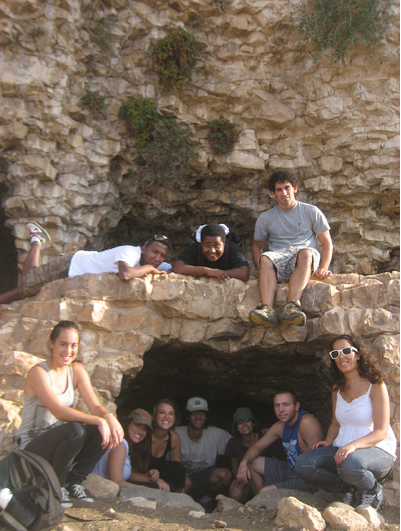 With some sore from their morning of biking, the Yahelnikim went out for an evening of relaxation and fun in Tiberias. Ready for the bike ride! Sunday was a day dedicated to visiting Arab Israeli communities. After meeting up with the fascinating Dr. David Mendelsohn, the group had a unique glimpse into Arab-Israeli life that included meeting the principal and teachers of a high school in Baqqa al Gharbiyye, seeing and discussing the security barrier, eating lunch in a local restaurant and visiting a beautiful art gallery in the town of Um el Fahem. The weekend of group bonding and community exploration ended with a trip to Jerusalem to see the incredibly talented music artist, Idan Raichel. The Yahelnikim returned to Gedera refreshed and excited for the many more weekends together to come!